After I did an article on using the Spar Hitch to tie fenders a friend Lee told me about a similar knot that he uses for fenders and storing lines on a boat. 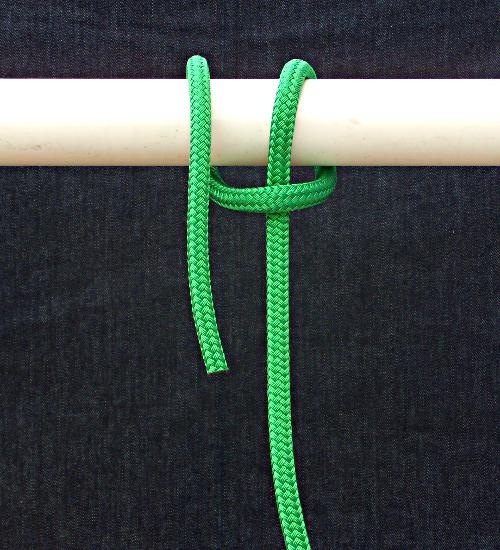 This is similar to what Ashley calls a Backhand Hitch (knot # 1852 in The Ashley Book of Knots) except the Half Hitch is tied in the opposite direction and this reversal seems to make the knot more secure. Ashley also shows the Backhand Hitch as being tied with two Half Hitches to finish it off. 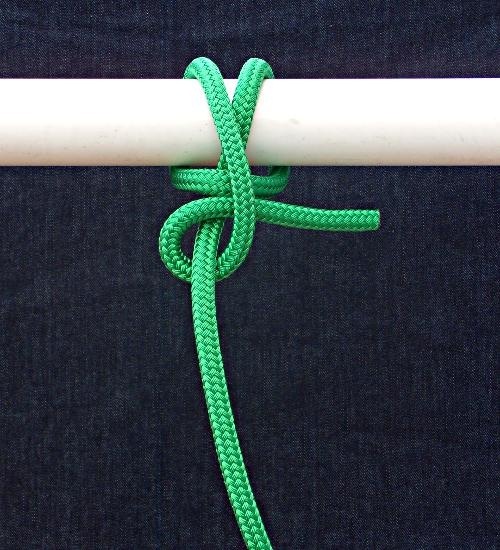 Lee was taught this knot/hitch on a Rob & Teressa’s Baba 40 on the Baha Haha, many years ago. Rob took him aside and showed him this knot and explained this was the only knot allowed for storing lines. He wanted a standard knot, so in the middle of the night, when things were not going well, he did not need to figure out, what the person ahead of him did. It is quick to tie and holds well even on small diameter objects. Start with a turn around the object you are tying to. Continue around the object and pass in front of the standing part of the line and then do another turn around the object and come around like you are tying a Ring Hitch or Cow Hitch. Don’t tuck the bitter end down as in a Ring Hitch. Cross over the standing part of the line and tie a Half Hitch around the standing part of the line. 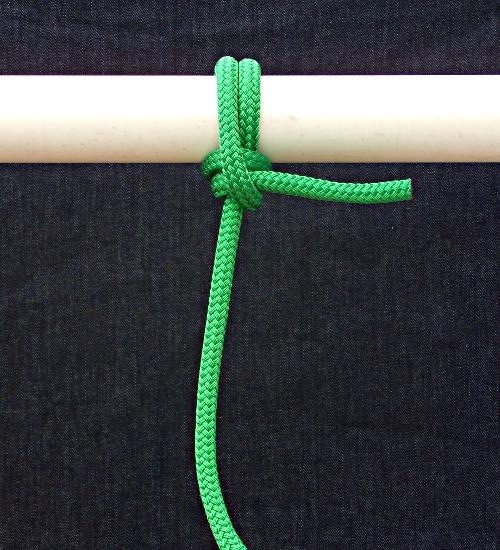 Crossing over the standing part makes Lee’s Fender Knot more secure than a Backhand Hitch. Finished Lee’s Fender Knot down snugged down. Tied vertical around a stanchion. 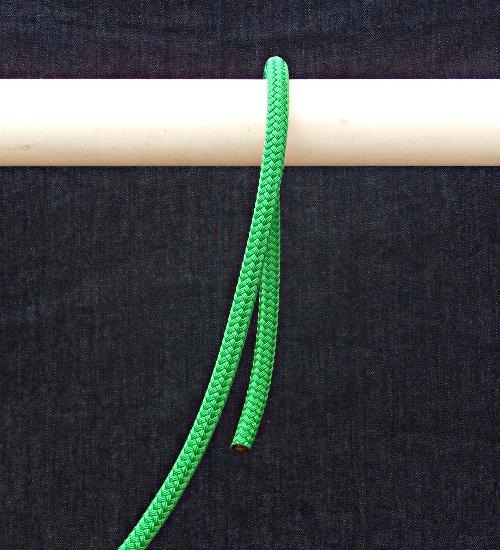 Lee’s Fender Knot will also hold well when tied around a small diameter object such as a lifeline or polished chrome hand rails. Thanks to Lee Youngblood for the tip on this knot. Lee is a long time friend, experienced sailor and Yacht Broker. An improved Fender Whip – Part 1 to tie a fender to your boat that holds knots much better than a standard Fender Whip, for fenders that have a hole down through the center to run the fender whip. An improved Fender Whip – Part 2 to tie a fender to your boat that holds knots much better than a standard Fender Whip, for fenders that have an eye or tab on the end for the fender whip. 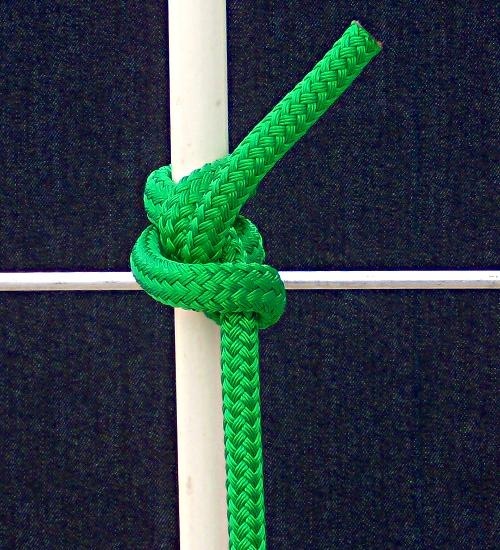 Three Stopper Knots : How to tie three different stopper knots for use on your boat. Edited April 15, 2011 to credit Rob for teaching Lee this knot. This entry was posted in Sailing and Boating Skills and tagged boating knots, boating safety, boating skills, fender knot, knots, marlinespike seamanship, marlinespike skills. Bookmark the permalink. Line is stuck in the bottom of a fender – how do I get the line out.